A vineyard in Thailand? Really? 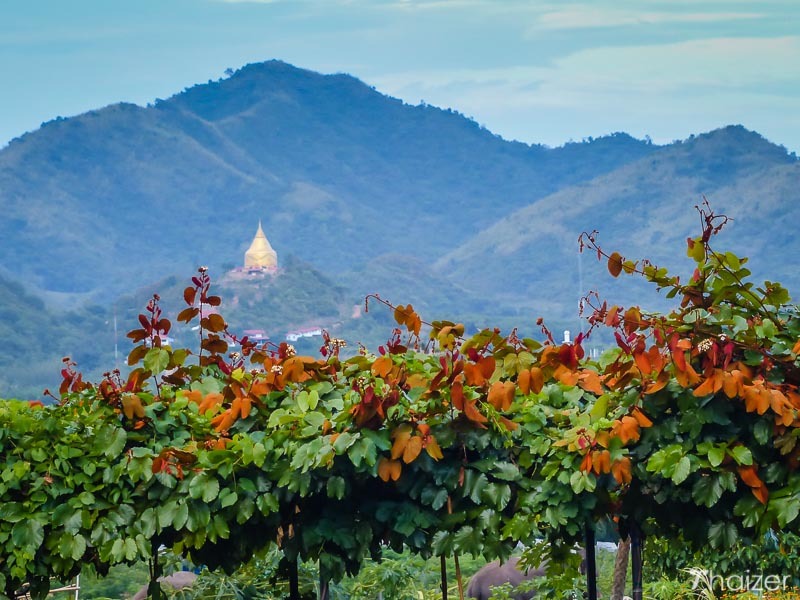 Whilst the tropical climate of Thailand might not appear to be conducive to wine-making, there are a few locations in the country which are able to use their unique surroundings to produce quality grapes. 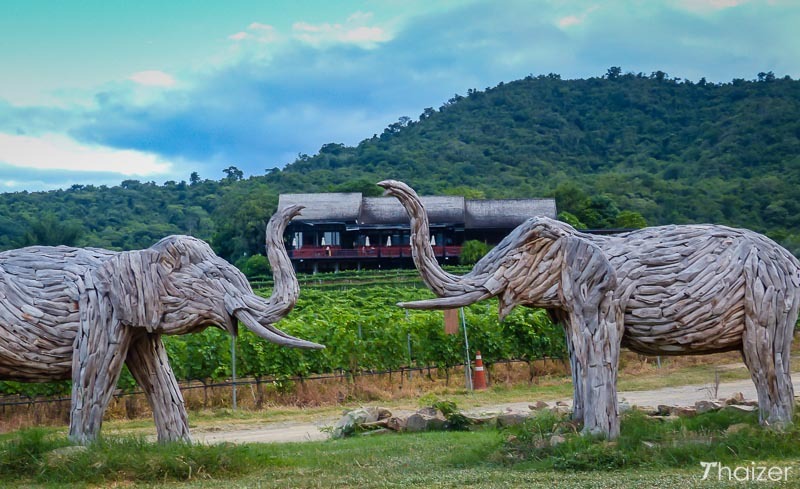 One such location is *Hua Hin Hills Vineyard, less than 3 hours drive south of Bangkok and open daily for the public to enjoy the picturesque surroundings and sample the award-winning Monsoon Valley wines. As part of a rebranding strategy, the vineyard changed its name in early 2017 and is now known as Monsoon Valley Vineyard. 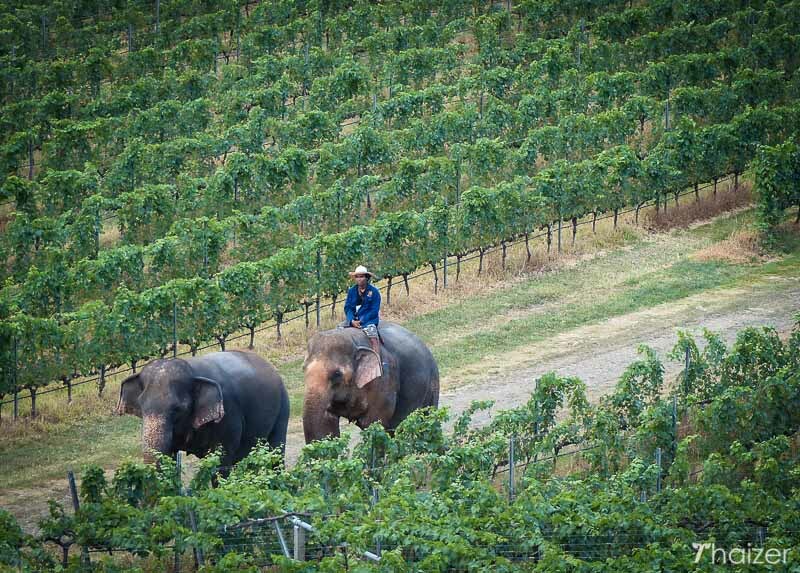 Built on a former elephant corral, the vineyard is protected from some of the harsher extremes of the Thai weather. 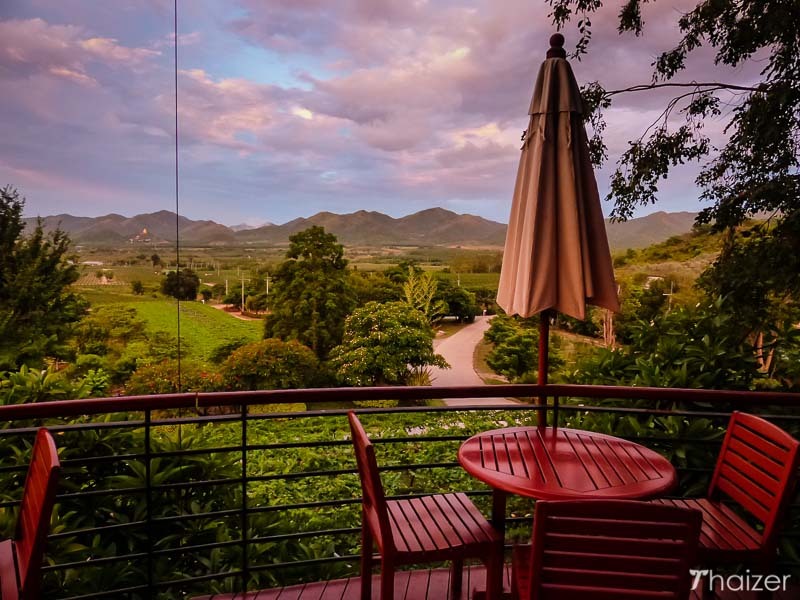 Approximately 150 metres above sea level, Hua Hin Hills vineyard enjoys a mountain backdrop, cooling ocean breeze and a soil type that mixes sandy loam with slate. Not all types of grape can be grown here, but those that can include: Colombard, Shiraz, Sauvignon Blanc, Muscat, Cabernet and Merlot. Located closer to the equator, countries such as Thailand and India produce what is described as New Latitude Wine. Lower light intensity restricts the variety of grapes that can be grown whilst the extremes of the dry and rainy season make the task for wine producers in Thailand more difficult compared to Old World or New World producers. Siam Winery was founded in 1986 by the man behind Red Bull, Chaleo Yoovidya. 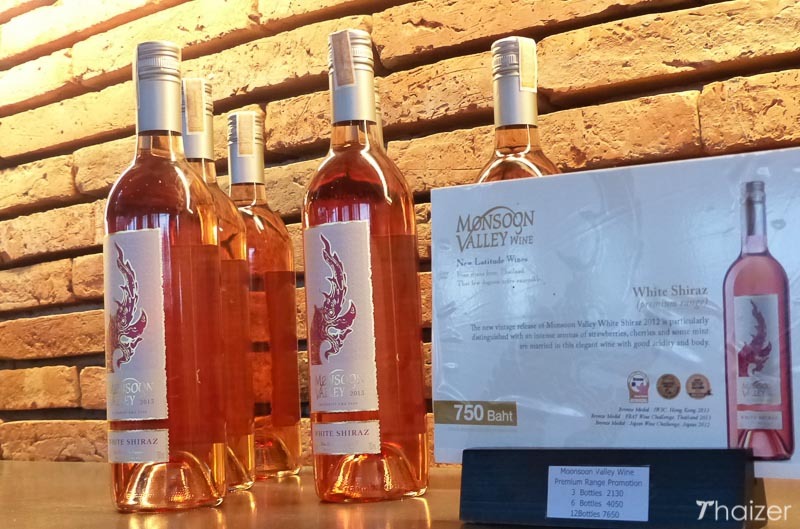 Monsoon Valley is the label used by Siam Winery for premium wines produced from selected grapes grown at the Hua Hin Hills Vineyard. With experience in the European and New Zealand wine industry, Kathrin Puff is the expert who oversees the production of the Monsoon Valley range. If you look at a bottle of Monsoon Valley wine, you will notice a distinctive design on the label. This serpent-like figure is the naga, a mythical creature which is regarded in Thailand as being a guardian figure and one which helps to protect the land. But is the wine any good? I’m certainly no wine connoisseur, but I was pleasantly surprised by just how good the wines I tasted were. 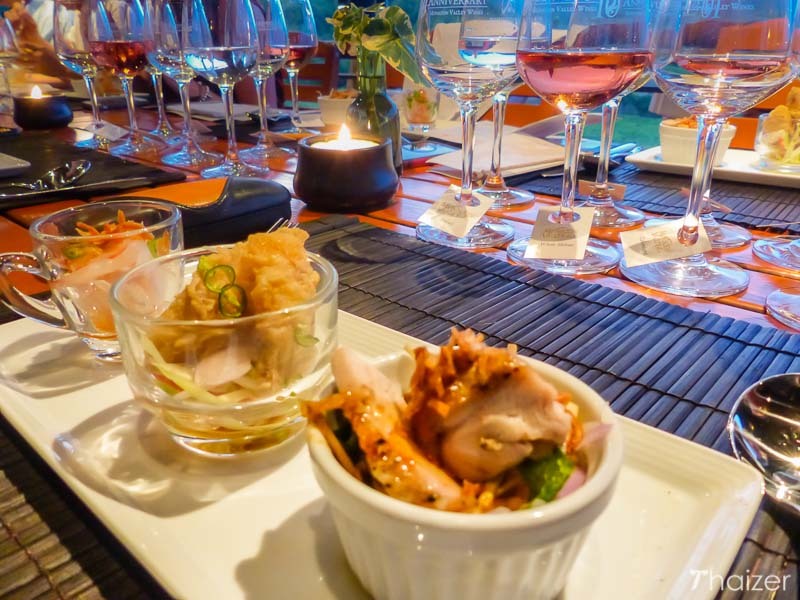 The amount of thought and effort that has gone into production also shines through during the wine tasting at Hua Hin Hills with particular styles of wine paired specifically with recommended Thai dishes. For instance, Chenin Blanc is ideal for deserts such as mango and sticky rice whilst White Shiraz complements phat thai kung. In Thailand, Monsoon Valley wine can be purchased from King Power duty-free stores as well as a number of hotels throughout the country including Hyatt, Marriott and Holiday Inn to name just a few. The Monsoon Valley range has been gaining positive reviews from wine critics around the world and can be found in a number of overseas Thai restaurants and wine outlets, especially in the UK. Hua Hin Hills run a shuttle service from the Villa Market in Hua Hin with round-trip transfers at 300 Baht per person. Alternatively, you can book a tour or arrange a private car with any tour office in the Hua Hin and Cha Am area. For 1400 Baht, visitors can experience an open-top jeep tour of the vineyard followed by a wine and tapas tasting menu. 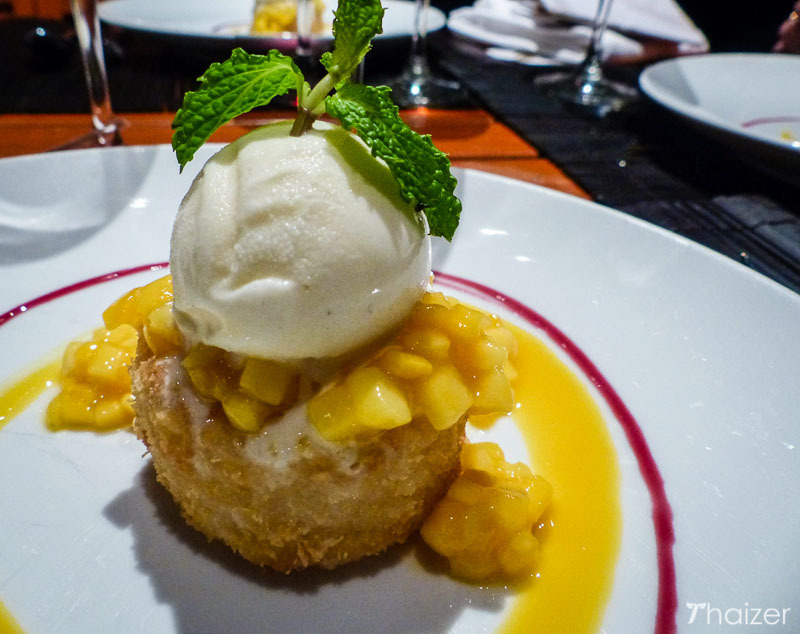 A 3-course meal and wine tasting is 2,100 Baht per person including jeep tour of the vineyard and souvenir. If you arrange your own transport to the vineyard, wine tasting starts from 240 Baht for 3 glasses with the option to join guided tours by jeep at 1pm and 4pm. 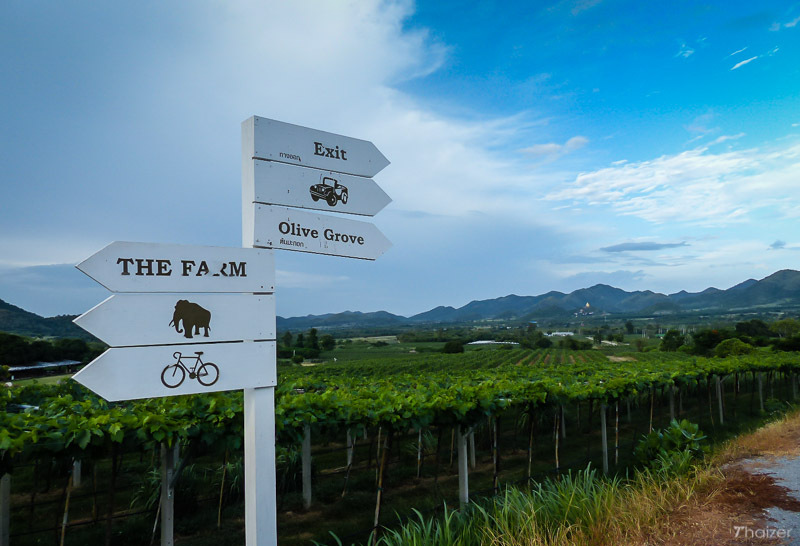 Mountain bikes can also be hired at Hua Hin Hills to explore the trails in the vineyard. Please note this is a tour of the vineyard, not the winery. If you are particularly interested in wine production you can visit Siam Winery, but their production facility is located in Samut Sakhon not Hua Hin. 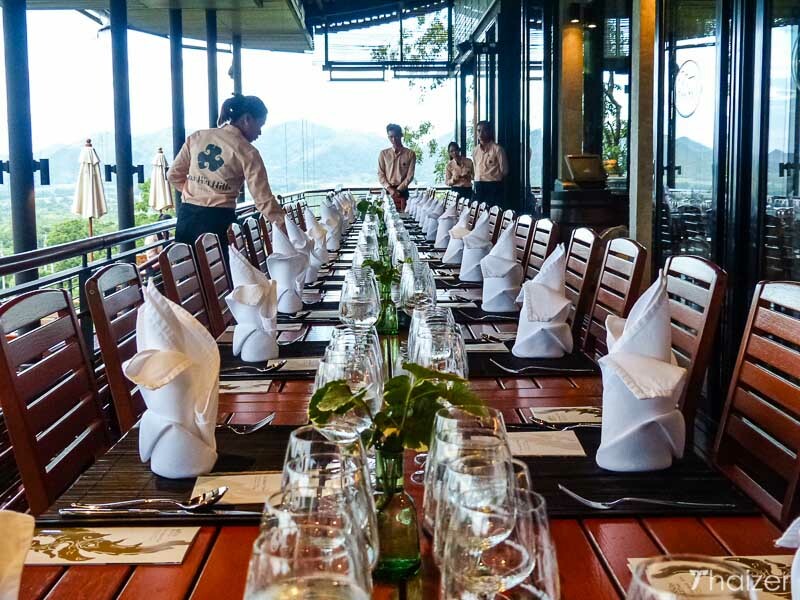 Even if you don’t want to do a tour of the vineyard, it’s worth a trip out to Hua Hin Hills just for the quality of the food on offer and the exquisite views from the Sala Bar and Bistro. Combining local elements with contemporary designs, this focal point of the vineyard also includes a retail shop and wine cellar in addition to the dining area. Hua Hin Hills Vineyard is open daily from 08.30-18.30 with the Sala Bistro serving food from 11.00-17.30. Happy New Year 2017 in Thailand, with Taxi Well provide the airport taxi from almost airport in Thailand especial Bangkok, Pattaya, Hua Hin and around. However, taxi near me is a top keyword on the Search Engine, As we cannot change your idea, Just suggestion to search taxiwell keyword to compare.